It’s tough to strive for perfection every single day – their motto, which they do apply every single second. 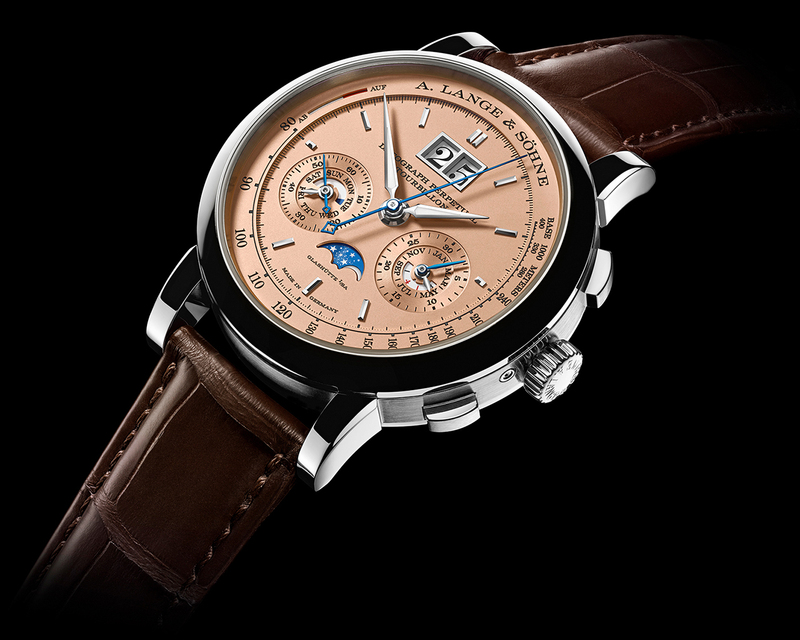 Lange 1 “25th Anniversary” is an hommage to Gunter Blumlein and Walter Lange – “without them we wouldn’t be here”. 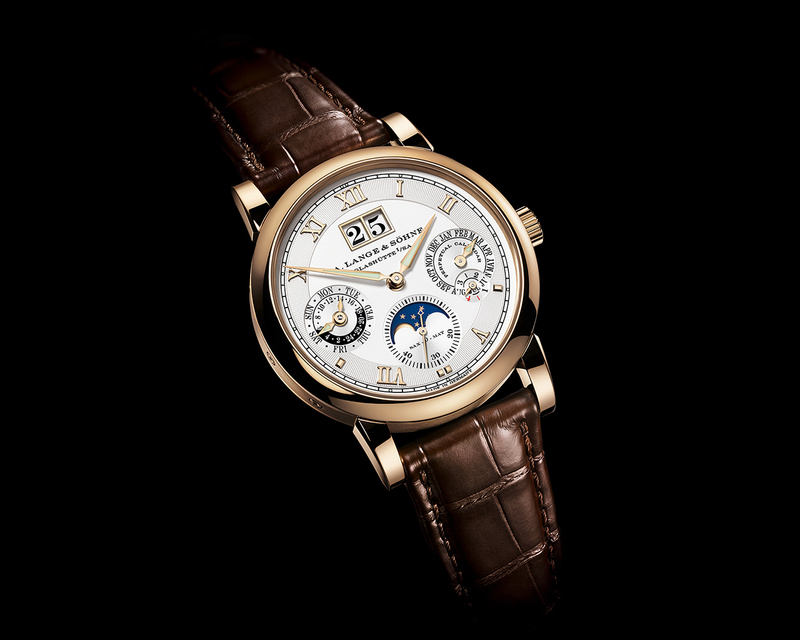 Both are honored on the Lange 1, anniversary edition. 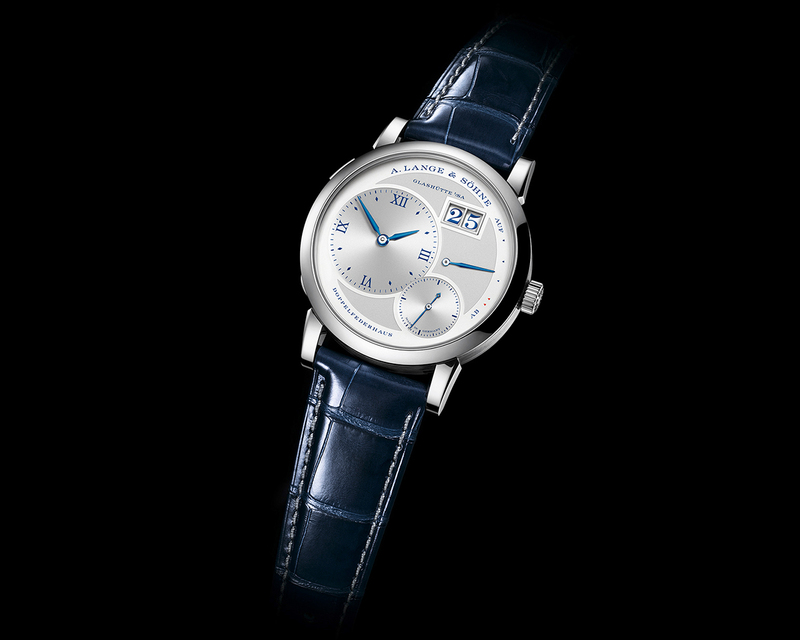 For the first time in Lange 1 – printed blue hour markers, recessed dial. 250 pieces. 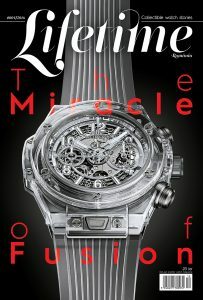 White gold, 43,700 euros. 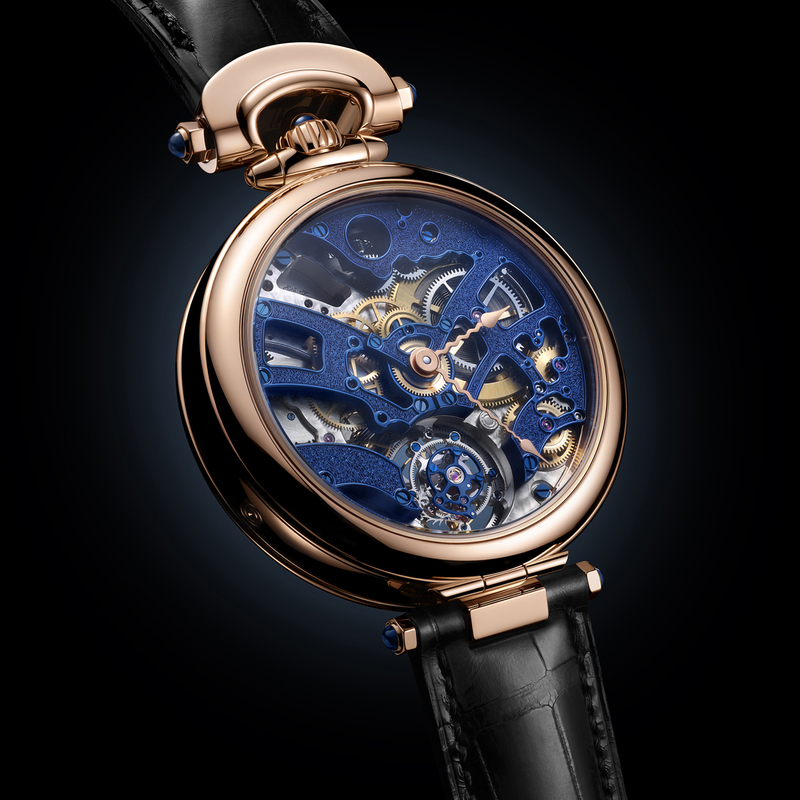 Datograph Perpetual Tourbillon – beautiful, exquisite dial – solid pink gold, white gold case. 50 hrs power reserve. 100 pieces. 285,000 euros. I found out today that Lange have 36 movements in production for only 5,000 watches – which shows what these amazing Germans are made of. 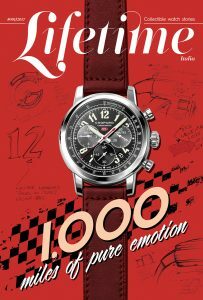 I am a huge fan of Zeitwerk and I was very happy to see that they launched a new model – Zeitwerk Date – for digital natives. For mechanical natives. 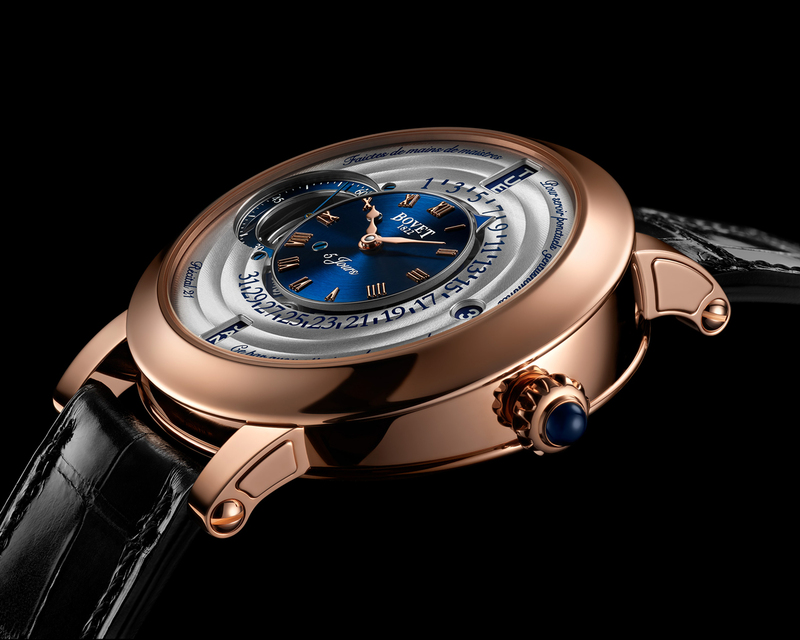 Power reserve – 72 hrs and 0.3mm thinner than the original Zeitwerk (although the power reserve is double). Completely new movement. White gold case. 89,000 euros. 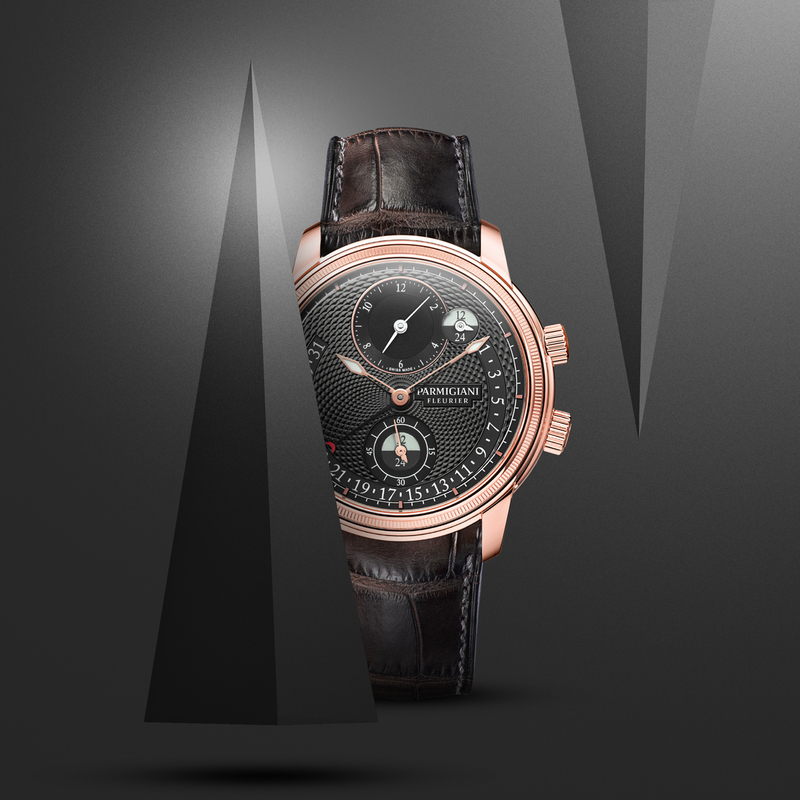 Recital 21 – retrograde perpetual calendar, hours, minutes, coaxial seconds, inhouse hand wound movement, 5 days power reserve, and a synchronized calendar corrector at 12 o’clock. 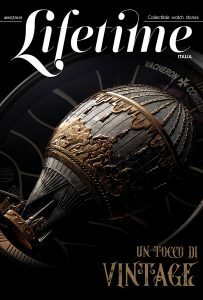 Virtuoso IX is double face flying tourbillon, with big date, second time zome, 24 city disc indicator, 10 day power reserve, spherical winding system, flinque dial, and chiselled bridges. 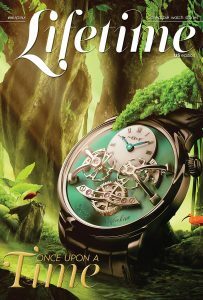 I very much liked the Recital 26 Brainstorm Chapter One, with an asymmetrical sapphire case, and in-house tridimensional dial in the shape of a propeller. 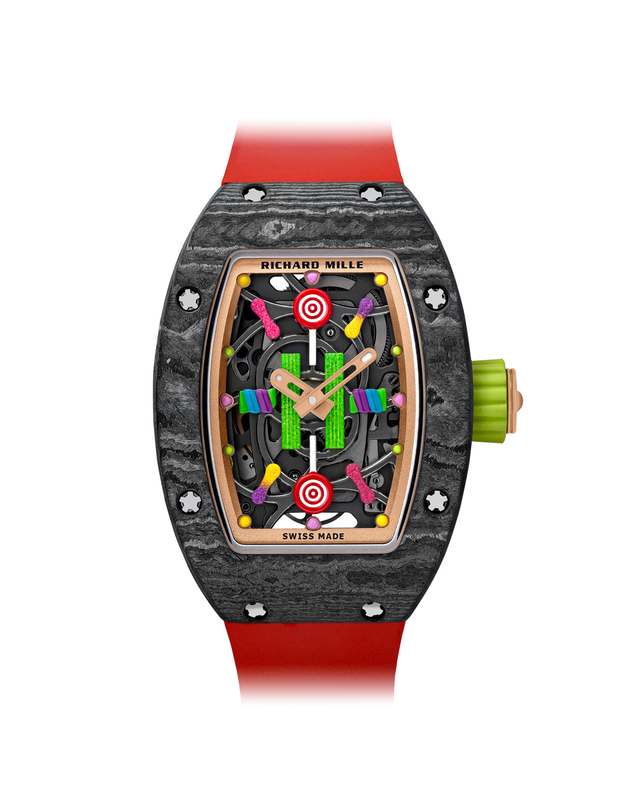 I must confess I tremendously enjoyed Richard Mille’s new Bonbon Collection, a daring, explosive, tongue in cheek, colorful, delicious adventure. 10 watches, 30 pieces each (I assume they are sold out), 6 fruit (lemon, strawberry, kiwi, cherries) and 4 candy (marshmallow, cupcake, liquorice and lollipop). 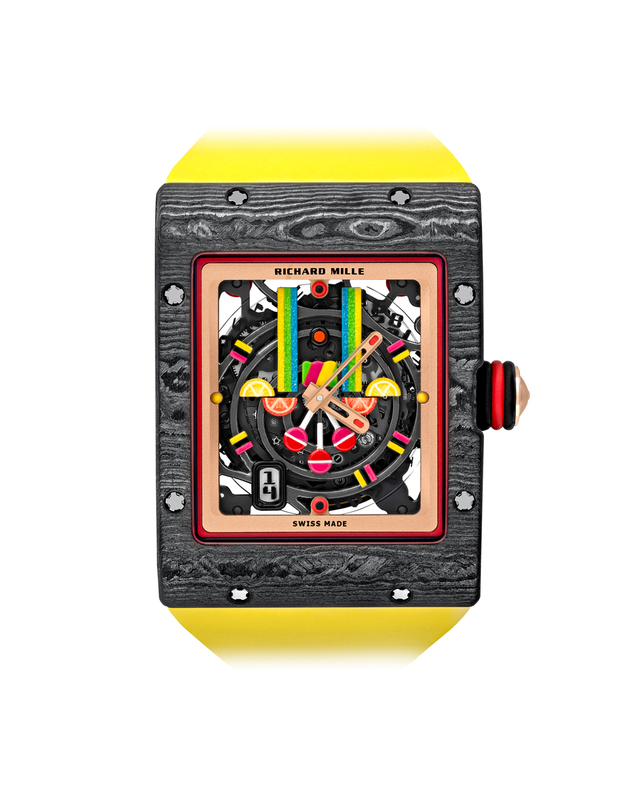 It’s something for those that have enough money to pay for a watch that they will maybe wear for a beach party. But, again, they are beautiful, different, original watches, unlike anything I’ve seen so far. And they have managed to avoid the kitsch. 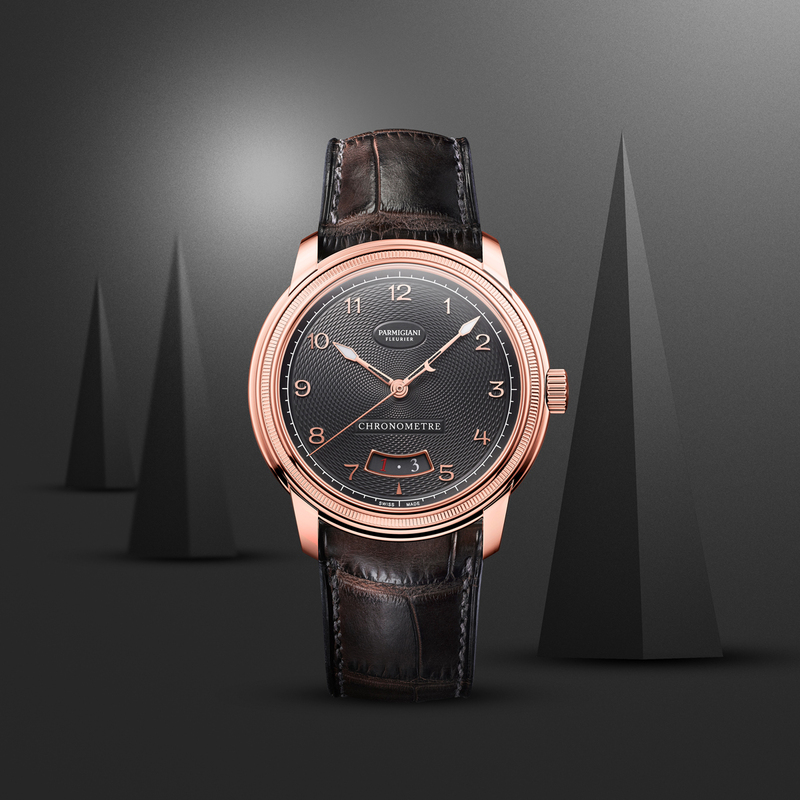 I close this day with Parmigiani Fleurier, who also presented nice novelties, very much in the spirit of the brand. 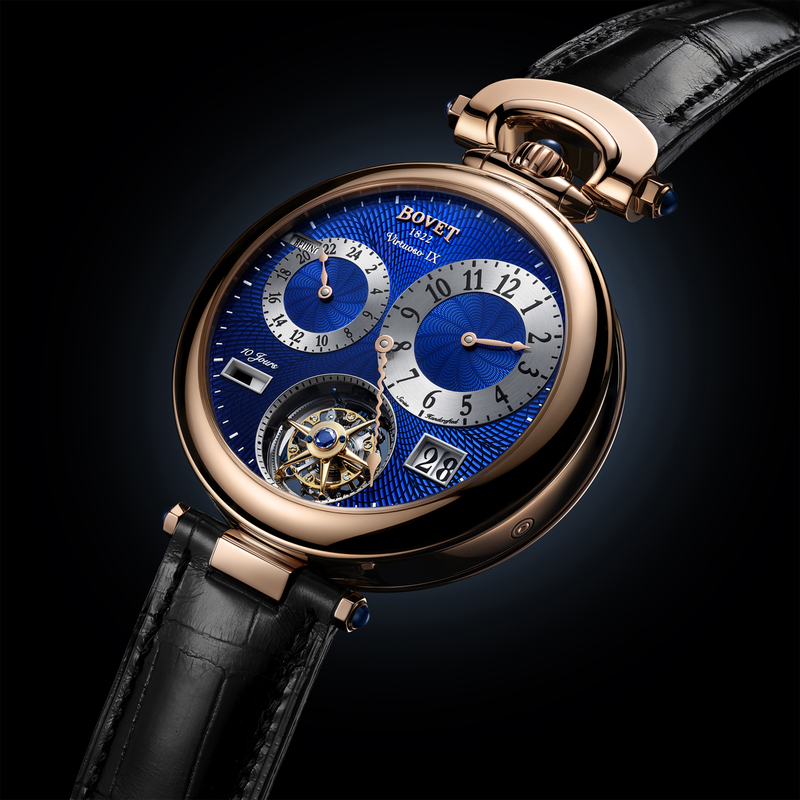 Toric Quantieme Perpetuel Retrograde – red gold case with gadroons and knurls, perpetual calendar with retrograde date and double hemisphere moon phase display. Hand guilloche slate dial, 42.5mm case. 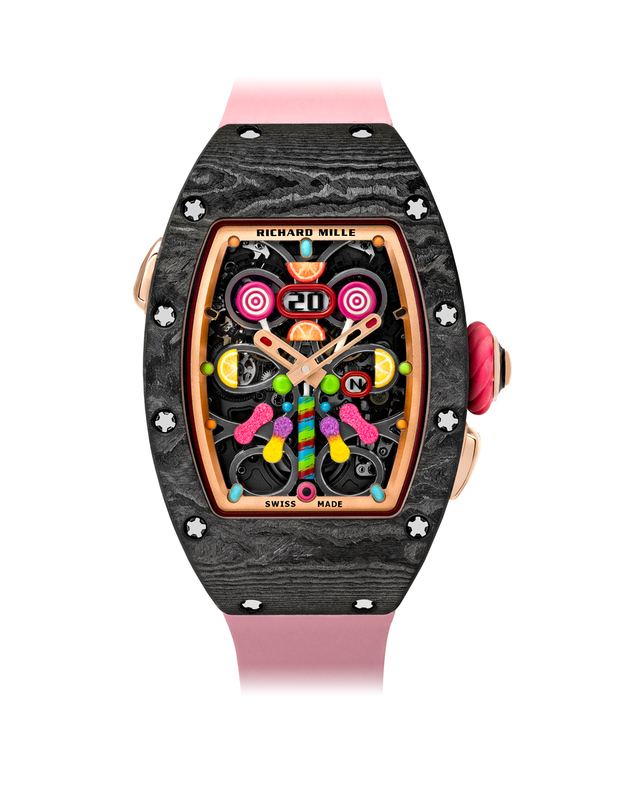 69,000 CHF. 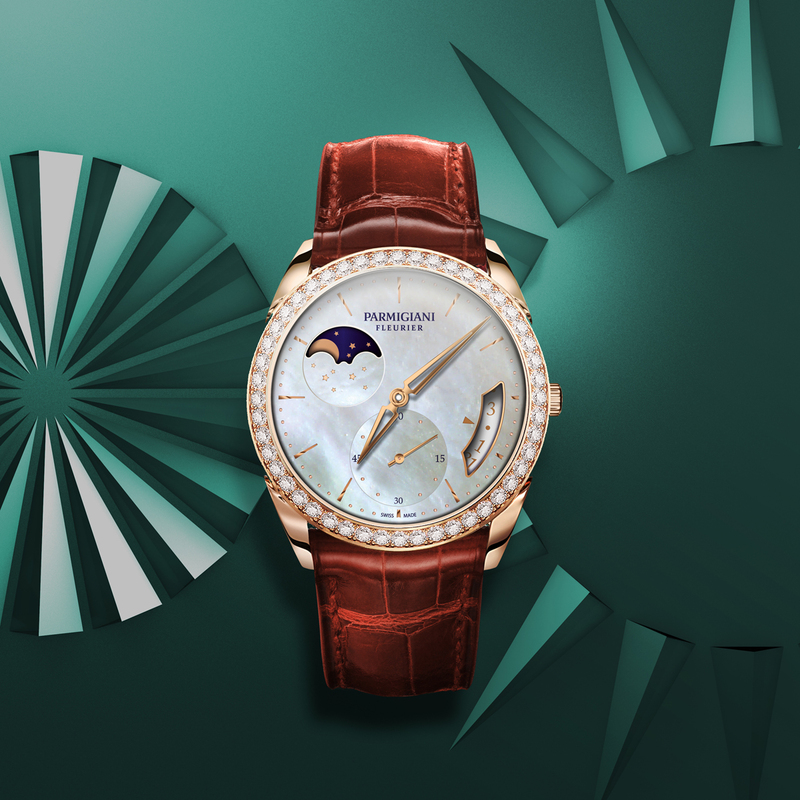 Tonda Ladies Moon Phase Diamond Set – 51 diamonds, platinum microrotor, Hermes alligator strap. 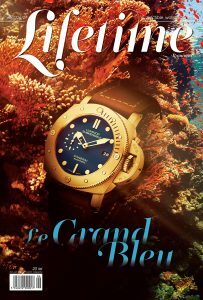 37,000 CHF. 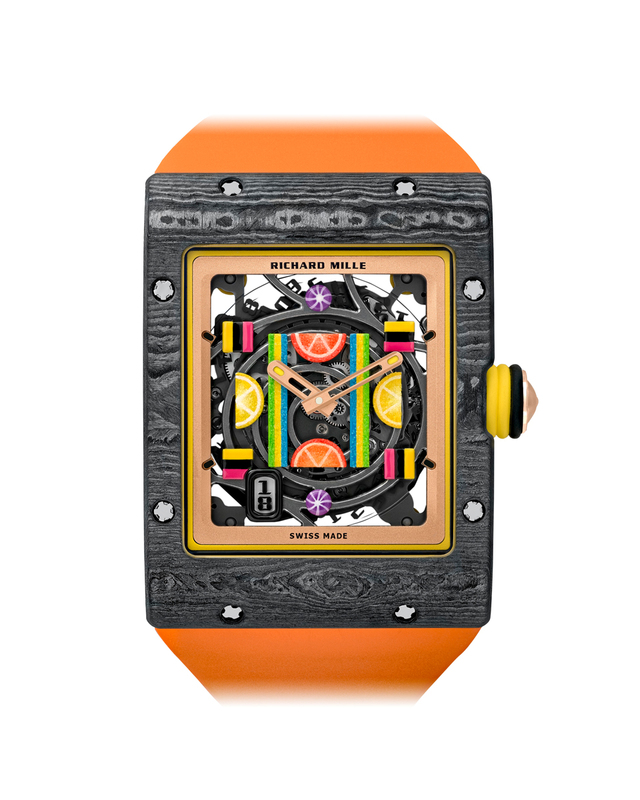 A nice, slim watch, with welcome dashes of color. 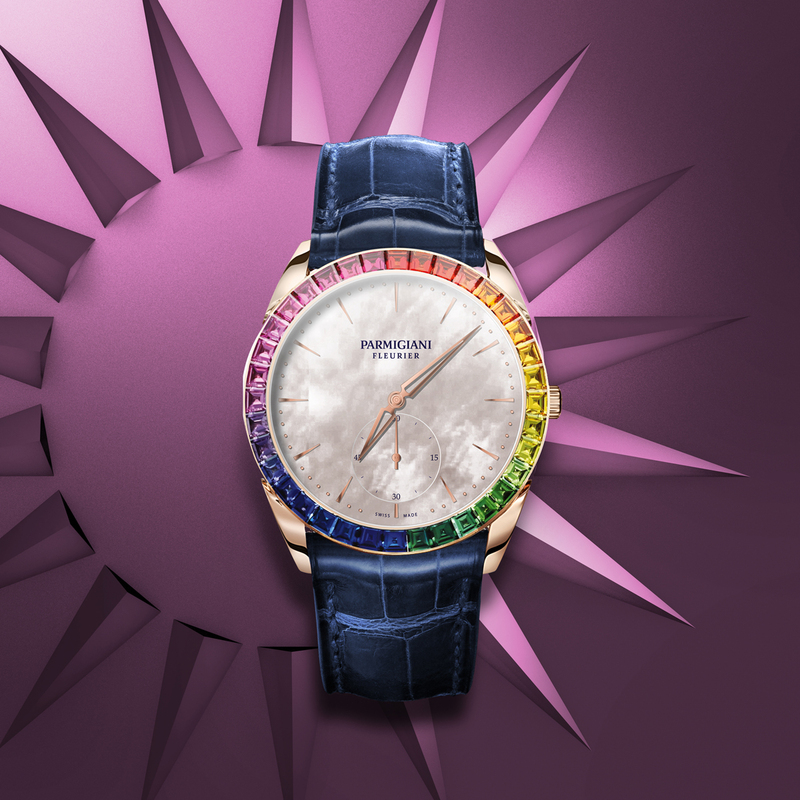 Tonda Rainbow Baguette Set – a rainbow bezel with 21 sapphires, 3 rubies, 6 tsavorites and 6 amethysts for a total of 3.72 carats. 39mm rose gold case. 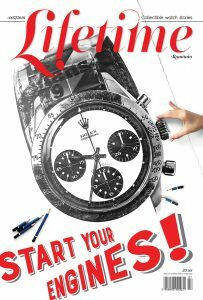 60,000 CHF. 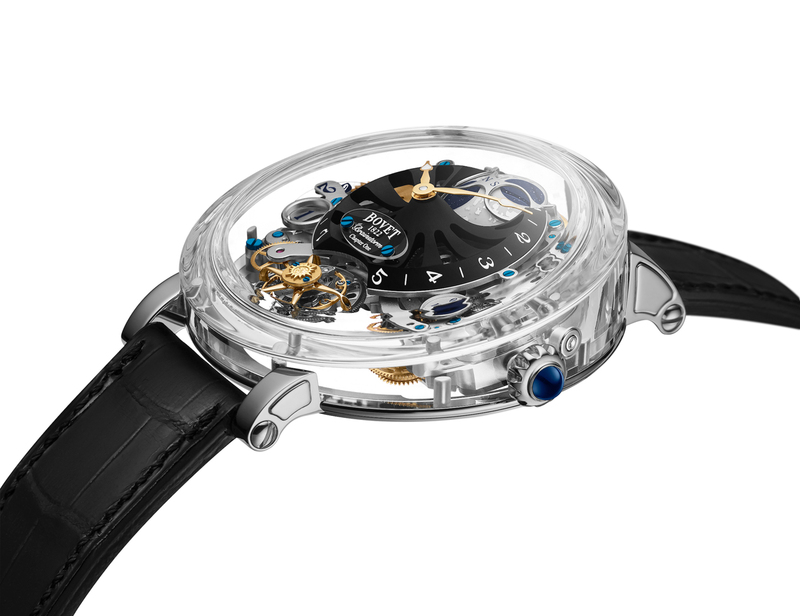 Kalpa, Parmigiani’s tonneau watches and movements – the novelty is the titanium case with the black platinum rotor. 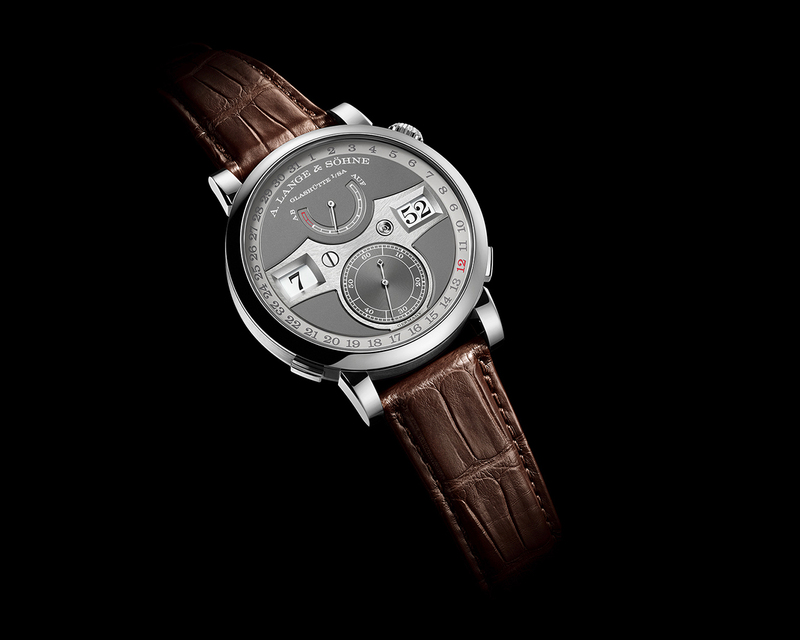 A fully integrated chronograph with a vertical clutch. 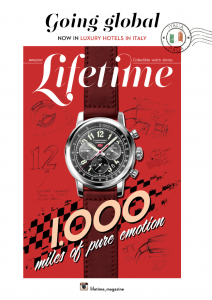 39,500 CHF.